Wang, J., Veugelers, R., & Stephan, P. (2017). 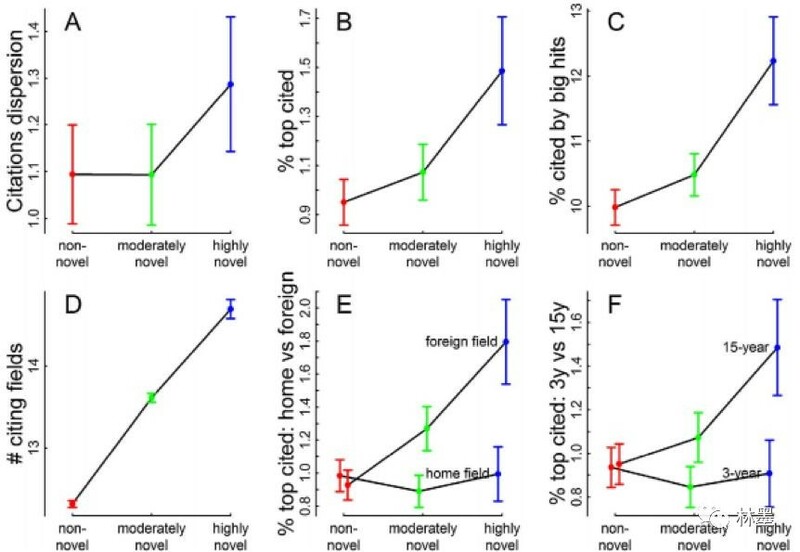 Bias against novelty in science: A cautionary tale for users of bibliometric indicators. Research Policy, 46(8), 1416-1436. Arthur, W.B., 2009. The Nature of Technology: What It Is and How It Evolves. Free Press, New York, NY. Burt, R.S., 2004. Structural holes and good ideas. Am. J. Sociol. 110 (2), 349–399. Mednick, S.A., 1962. The associative basis of the creative process. Psychol. Rev. 69 (3), 220–232. Schumpeter, J.A., 1939. Business Cycles; A Theoretical, Historical, and Statistical Analysis of the Capitalist Process, 1 st ed. McGraw-Hill Book Company, Inc, New York, NY; London, UK. Weitzman, M.L., 1998. Recombinant growth. Q. J. Econ. 113 (2), 331–360. Retrieved from. http://www.jstor.org/stable/2586906. Uzzi, B., Mukherjee, S., Stringer, M., Jones, B., 2013. Atypical combinations and scientific impact. Science 342 (6157), 468–472.